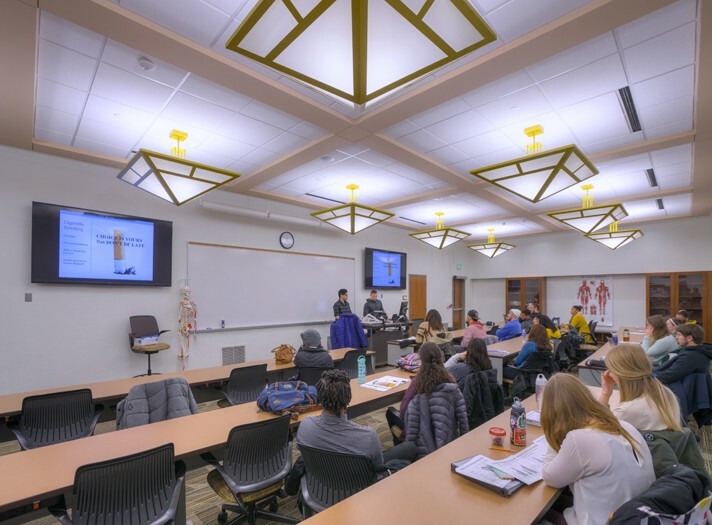 This two-phased renovation delivers 21st century learning opportunities in the circa-1938 Rackham Building. 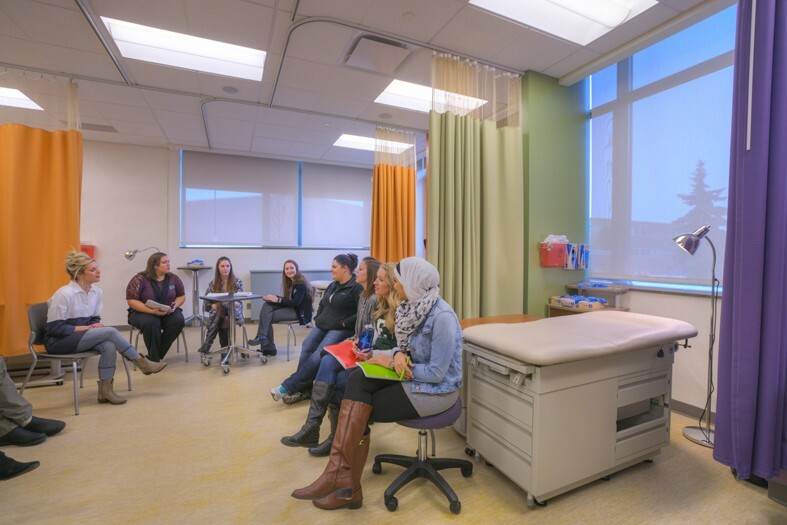 Phase I accommodates a new Physician’s Assistant (PA) Program, a two-year graduate level professional program. 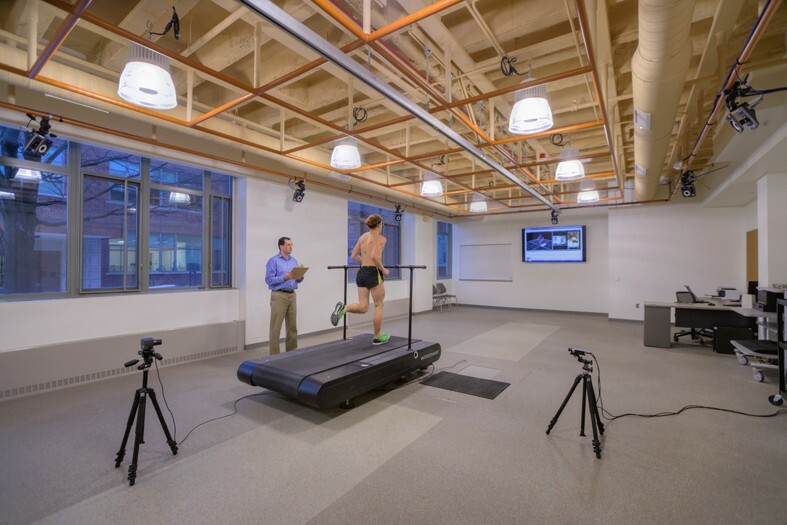 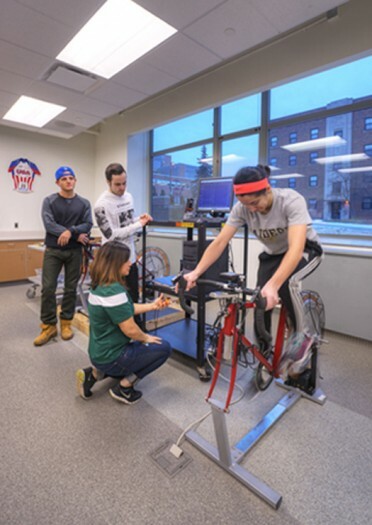 Phase II offers new teaching, research labs, meeting, practice and office spaces for Exercise Science, Nursing, Occupational Therapy, the Office of Nutrition Services, Orthotics and Prosthetics, and Social Work. 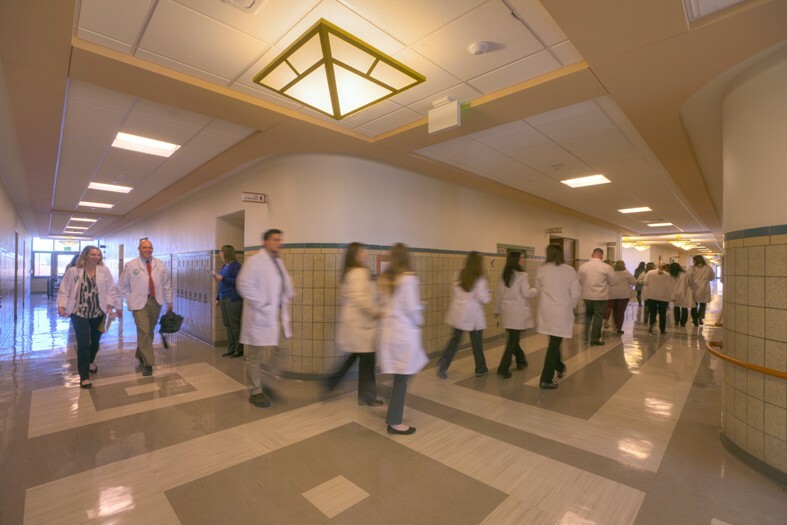 Additional offices serve the College of Health and Human Services. 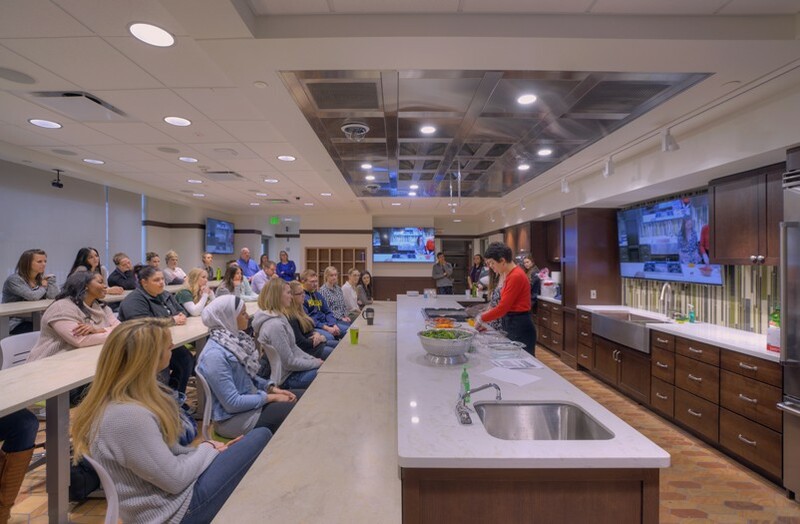 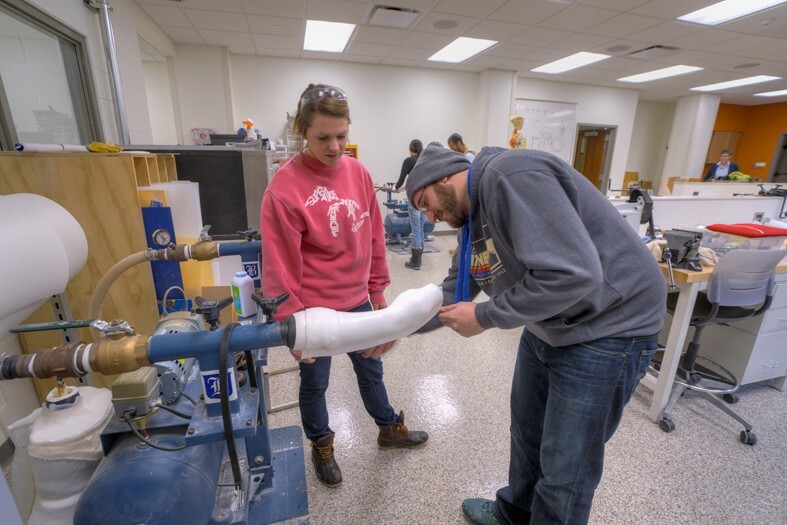 Custom spaces include a Motion Capture Lab, Orthotics and Prosthetics Machine Shop and Fabrication Lab, Plaster Lab, Home Health Care Lab, and a Demonstration Kitchen with Scullery. 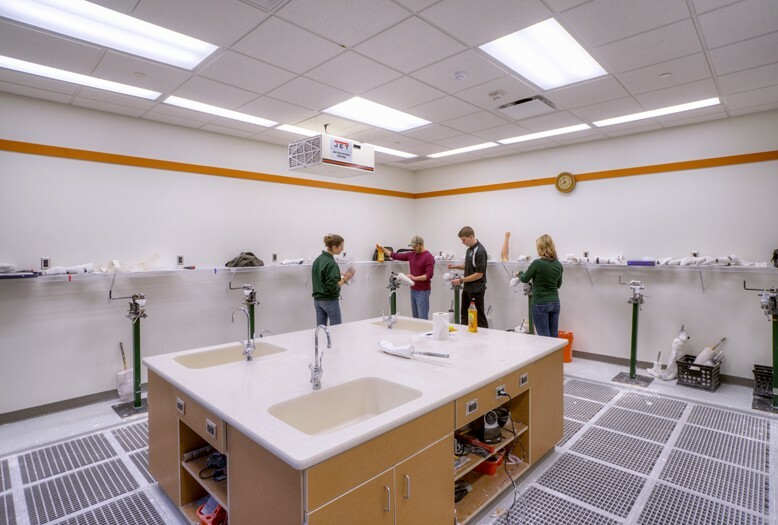 Existing interior woodwork was refurbished to maintain the historical character of the building. 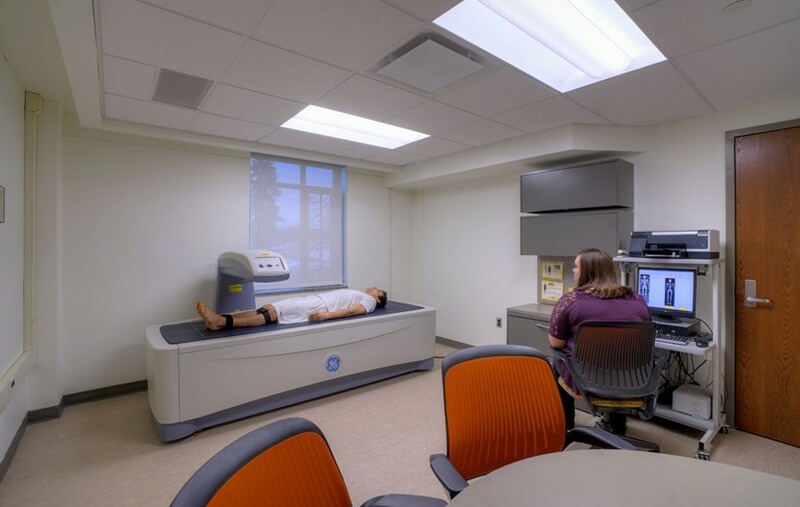 Rackham has undergone a multi-phased, multi-year renovation to become the University’s home for high-tech and allied health fields.